Next year is the BICENTENNIAL of the very VERY important Baltimore sermon given by William Ellery Channing (you’ve heard of him, right?) You will no doubt be celebrating this event on its bicentennial date May 5, 2019. 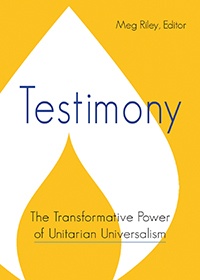 In Darr’s presentation he will explain what there is to celebrate and why this sermon, given in response to the “Unitarian controversy”, was so vitally important in establishing who we are at Groveland Unitarian Universalist Fellowship today. Darr has a personal connection with the “Baltimore sermon”. He has been inside the First Unitarian Church of Baltimore where the famous sermon took place. He almost did his undergraduate work at the Peabody Conservatory of Music two blocks away. Darr’s perspective on the Unitarian controversy and the Baltimore sermon is something that you will not hear anywhere else. Darr is a former member (and former president) of Groveland UU Fellowship. Darr studied Unitarian Universalist history at United Theological Seminary of the Twin Cities and received religious education at the First Unitarian Society of Minneapolis.